Police have released this surveillance camera image of suspects, at left, in the theft of credit cards at the Panera Bread store in Darien, and later using them at the Wal-mart in Norwalk. Police have released surveillance camera images of suspects in the theft of credit cards at Panera Bread in Darien, and later used the cards at other area retailers. The theft took place Nov. 8, between 12:45 and 2:30 p.m., at the Boston Post Road store, according to police. 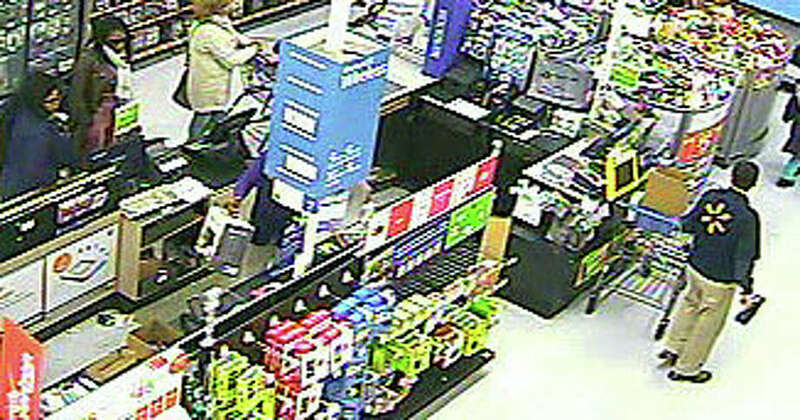 Later that afternoon, the suspected thieves used the cards at Wal-mart in Norwalk. The cards were later used at the Target store in Stamford, and subsequently other stores in the Darien and Stamford area, police said. Anyone who can identify the people in the photos or knows anything about the incidents is asked to call Darien police detectives at 203-662-5330.